The order not to hold the poll. 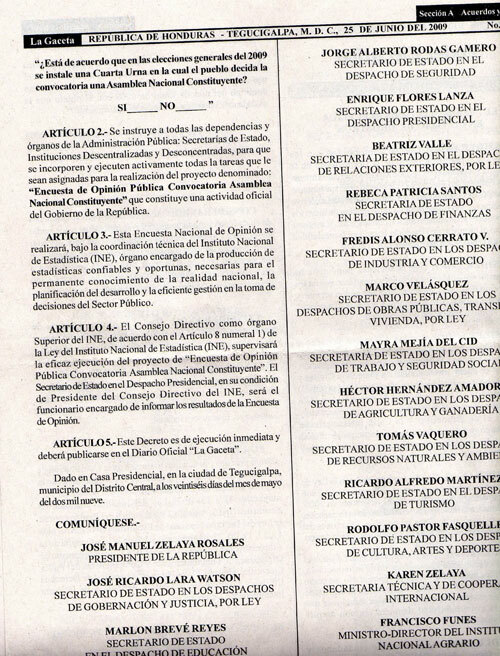 Zelaya’s decree to hold the poll in defiance of the order. 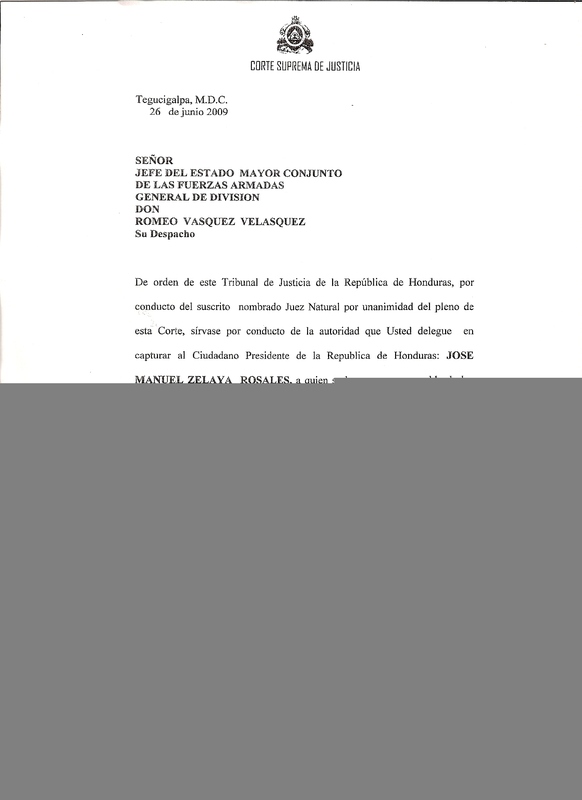 The arrest order for Zelaya from the Supreme Court. The Tegucigalpa – San José accord, the result of the Guaymuras Dialog, in which a peaceful solution was settled.